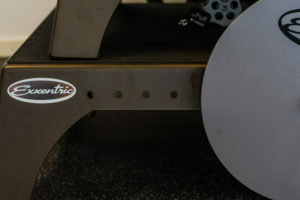 It is with great excitement that we now announce a new family of flywheel training devices. 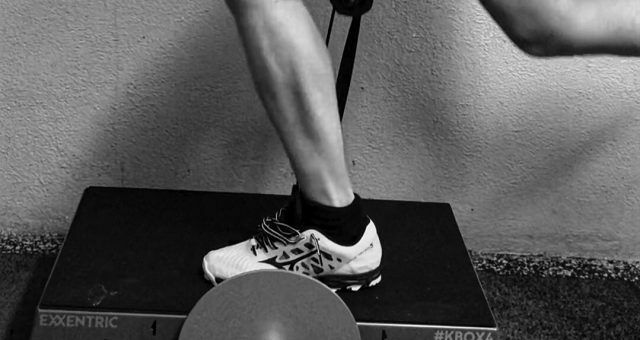 Two of the devices are brand new, namely the affordable kBox4 Active and the kPulley, for horizontal movements. In addition, we introduce important updates to our existing products, the kBox4 Lite, the kBox4 Pro and the kMeter. Versatility and value for money has never been greater than now, with Exxentric’s new family of flywheel training solutions. The kBox Active is our new and robust entry-level device. Perfect for serious home users, group class training and practitioners of sports at all levels. The form factor is the same as the kBox4 Lite, but the inertia range is more limited and the device is made of steel instead of aluminium. It is coated with an attractive new bronze colour. The kMeter can be purchased as an accessory. 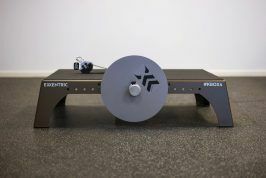 We are very pleased to offer a highly efficient strength training device at a very attractive price point, allowing even more users to enjoy the benefits of flywheel training. Learn more. 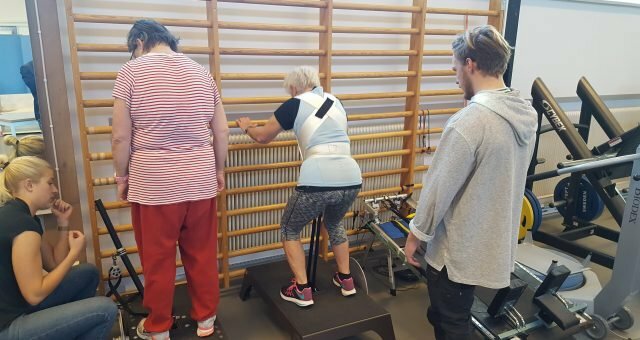 The kPulley is our brand new device optimised for horizontal movements. 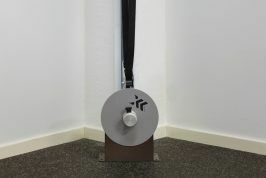 It is based on the Exxentric flywheel training solution using a straight shaft. 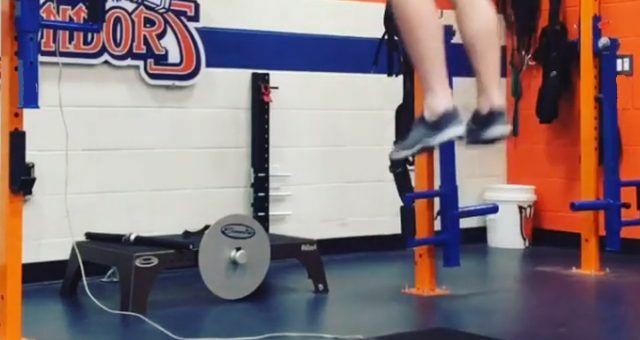 Facilitating a completely new category of horizontal exercises for the upper body, the kPulley is the optimal solution for anyone looking to improve their strength through rotational and pull exercises, but also core and lower limb exercises. With its versatile wall mounted design, the height of the attachment point can be adjusted between around 40 cm and up to 220 cm. Like the kBox4 Pro and Lite, the new kPulley also comes with the kMeter II feedback system built-in and it is coated in the classic Exxentric brown colour. 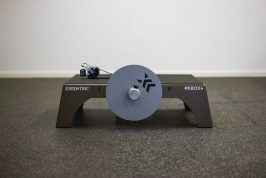 With the kPulley addition, a full body strength workout is now available with the Exxentric flywheel training solutions. Learn more. 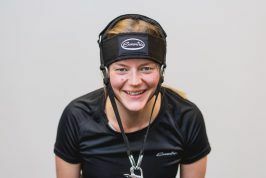 Widely appreciated by sports teams, pro physiotherapists and many others all over the world, the kBox4 Pro, is our most renowned and premium model. Already very feature rich, the Pro model has now been updated with our new Floor Attachment Kit (see below), in addition to a number of continuous improvements applied since its original launch. Most importantly, starting today the kBox4 Pro will come pre-fitted with the new kMeter II feedback system, without extra charge, effectively lowering the purchase price for a fully equipped professional system. The kBox4 Pro remains the top choice for professional users looking for the full width of options for maximum performance. Learn more. With today’s release, the kBox4 Lite is greatly improved for professional users in need of a smaller, highly portable device. Like the kBox4 Pro model, the kBox4 Lite will also include a built-in kMeter II. We have also managed to make the Lite even lighter, further improving its portability, while at the same time doubling the potential inertia range. The kBox4 Lite can now hold up to four flywheels, just as its big brother. 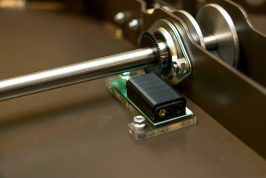 The automatic belt retract solution from the kBox4 Pro is now also standard, as is the option to add Foot Blocks. In spite of all the improvements, the cost of the Lite remains unchanged. The kBox4 Lite is now, even more, the ideal solution for users such as travelling athletes, rehab and fitness studios. Learn more. The kMeter feedback system has been completely rebuilt, and now offers an improved user experience, including sleep mode with activation via the app, so no more on-off switch, and improved battery life. In addition, as of today all kBox4 Pro, kBox4 Lite and kPulley units will include a built-in kMeter II at no extra cost. 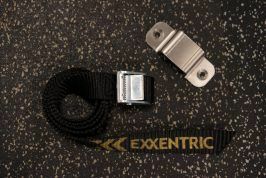 This new accessory is ideal for all of those wanting to incorporate flywheel training for their neck strength, making Exxentric’s list of accessories even more complete. As an update to all our kBox4 devices, a new Floor Attachment Kit will now be included with all kBox4 systems, resolving a need communicated by many customers. This will help facilitate simple attachment to a facility’s floor, to stabilise it as well as to improve lateral exercises. The kit is also available for older versions of the kBox4. We have always strived to keep offering excellence in product quality at market leading prices, and we are happy to be able to further this goal also with this release. The price for the new entry-level kBox4 Active is only € 1,410 (US$ 1,585) for a Starter System. The new kPulley comes at a market leading € 1,750 (US$ 1,955), also for a Starter System. The prices for the upgraded kBox4 Lite and kBox4 Pro remain, with Starter Systems at € 2,300 (US$ 2,575) and € 2,990 (US$ 3,345), respectively, including all new features. As usual, our prices exclude shipping and any local taxes. The upgraded kBox4 Pro is already available in stock for immediate shipping. The upgraded kBox4 Lite and the new models kBox4 Active and kPulley are currently in final production and are expected to start shipping in June. Starting today, we are accepting orders for the new product line. The products will be supplied in the order we receive confirmed orders. As we cannot anticipate the full demand for the new products, it is a good idea to order soon to avoid any unnecessary waiting time. A s a sign of our appreciation for your patience with our longer than usual shipping time of the kBox4 Active, kPulley and kBox4 Lite, we’re offering a 10% discount on systems including those products. This limited launch offer is applicable for orders that are confirmed and paid before May 31st. Don’t miss out! We want to thank all of our partners and users, now in 60 countries, that have been involved since the beginning. We will continue to do everything to ensure all of you have the best possible Exxentric experience! 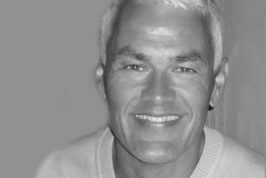 Interested in learning more about the new product line? Contact us or your Official Reseller to get a quote or the full price list today.